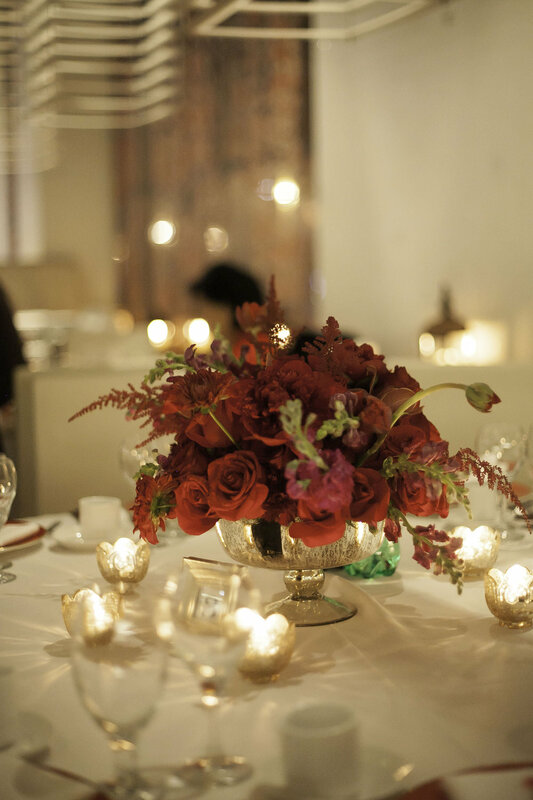 Part two of Courtney and Calvin's wedding celebrations was a more intimate dinner held at an upscale Flushing restaurant. The color theme was red and gold - red being the color of luck and fortune. 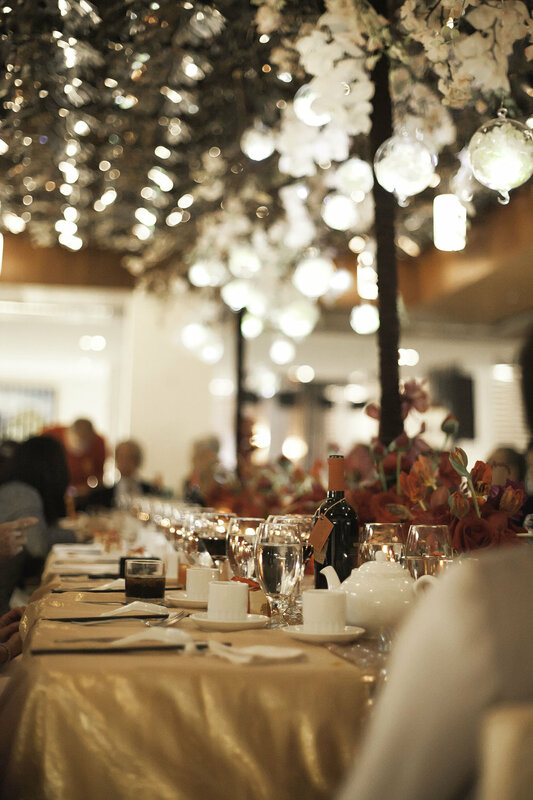 The head table was surrounded by a falling water installation, creating an ultra-modern "curtain" of sorts that framed the area. 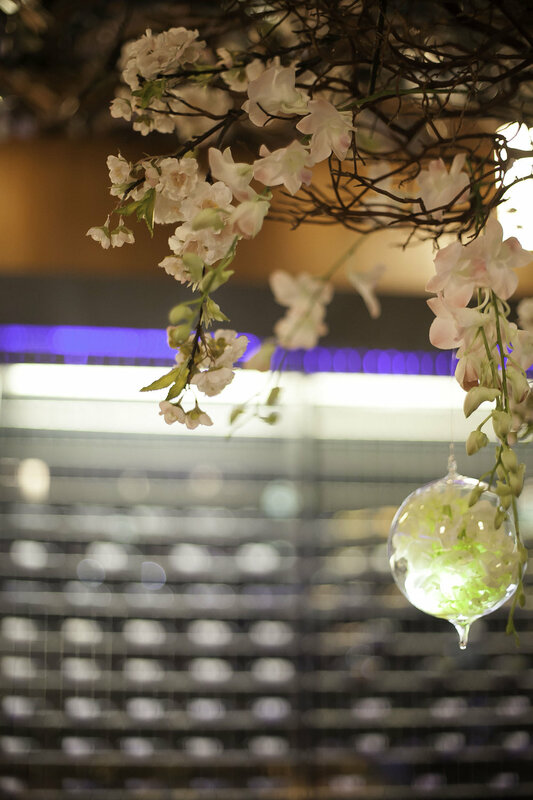 Suspended above the head table were manzanita branches decorated with cherry blossom blooms and orchids, and glass orbs with LED lights. 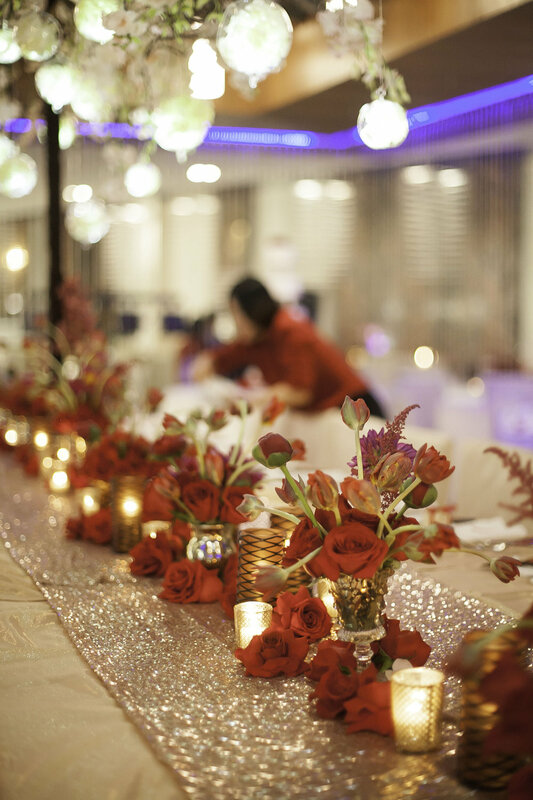 Red floral elements included dahlias, tulips, garden roses, ranunculus, peonies, astilbe, cymbidium orchids, and gloriosa lilies. Courtney and Calvin have become part of our family and we appreciate them referring us to their friends! We look forward to more events with this wonderful couple.